At First Light | Jess Banks schools you. 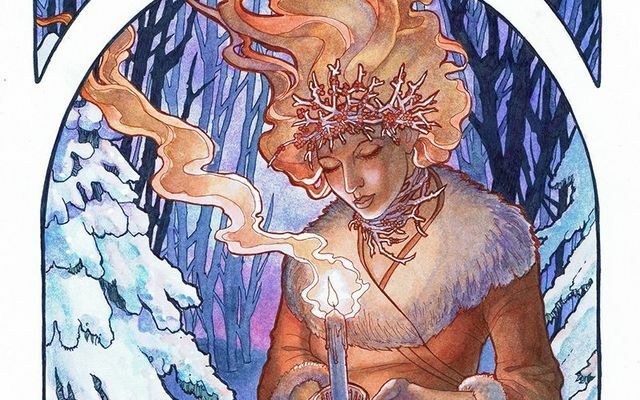 I’m a Wiccan by faith (Unitarian Universalist by church home), so an important issue I’m grappling with here in New Zealand is how to adapt my practice to the southern hemisphere, where seasons are flipped. 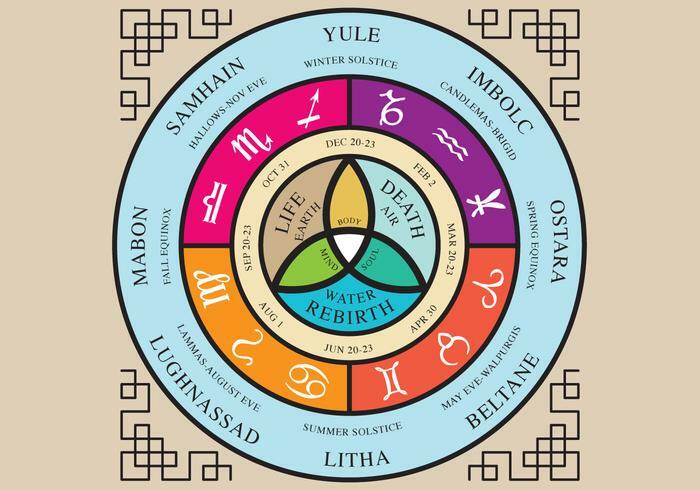 While pagan bloggers down here recommend following the seasons as they come, since the Wheel of the Year is based in the natural cycles of growth and dormancy, it’s tough to uncouple the dates I’ve followed since I began this path in my teens. Finding meaningful connections in a new environment will be the project of many years to come. I feel very much connected still to my northern home, in part thanks to the magic of the internet. I can imagine and remember the deep freeze in Minnesota and Wisconsin, and it’s easy to picture myself bundled up and weathering the polar vortex with that “cold enough for ya?” camaraderie. Brigid sparking light in the winter. It’s also (St.) Brigid’s Day, celebrating the Goddess’s return to the virgin girl, fresh with promise yet to be realized, her capacity for fertility and ripe abundance still latent. B is my homegirl; the Irish goddess and saint are inextricably entwined. The saint’s patronages are identical to the goddess’s domains: home and hearth, pregnancy and childbirth, fire and poetry. This time of year is for her and her boundless potentiality. But here in the upside-down, today is most definitely Lammas (or Lughnasadh), the festival celebrating the harvest’s first fruits. We’ve been gorging on summer fruits and herbs all along, but only now are we able to enjoy some of things that needed the whole warm summer to ripen. We can sink our teeth into apples and sweet corn we haven’t seen since this time last year, even while the days are still long and the air is still warm. So how do I reconcile two holy days that seem at such odds? The connection that’s helping me make sense of today’s contrast is my experience as a mother now. I’m watching my sons launch themselves more bravely into the world. They’re already their whole selves but still have many experiences to grow into. It’s back-to-school time, a bigger leap than usual as my sons start at new schools in a new country, looking for their place and the friends they’ll find there. Of course, this reminds me of myself at this age: told since my first years about how much potential I had, and seeing the first glimmer of what’s ahead in adulthood. And of my own mom, how she must have felt at this stage as both the girl and the mother. Brigid can see the light at the end of the tunnel of childhood that’s protected and sheltered her as she grew into her whole self. She can imagine the first fruits of the hard work of growing up. 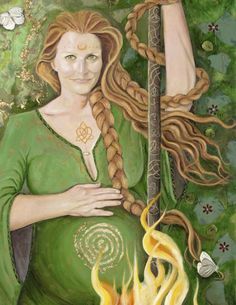 And the mother at Lammas can look back and see herself at that age, and forward at the harvest to come that sets another person on their own path. The returning light in the north flies like an arrow loosed into the south’s first abundant harvest. And I know it was Brigid launched that volley of fiery hope. One of my earliest memories of you was you giving a talk at the UU Fellowship in State College, PA – and this talk was on Brigid! I too feel connected to her as a goddess and a saint. I am tickled that my granddaughter was born on this day. I hope that she sees Brigid as a source of strength and guidance.